Warning: Heating Pad Burn!!!! I am on a heating pad 24/7 for #Pain and at some point this happened and has been like this for several months (not going away). 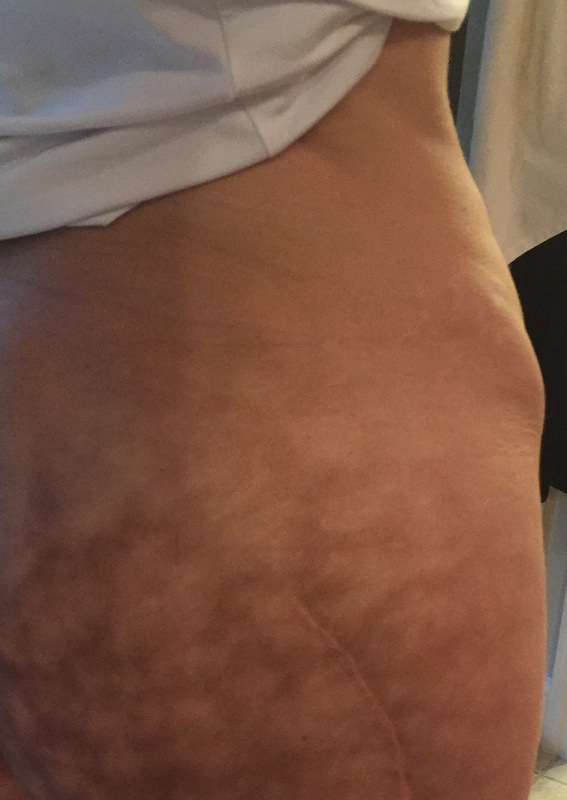 The #scar is unrelated…from cancer removal at 23 years old then #hip replacement at 25.